Summary: sometime you don’t need to sacrificing anything to get your happiness just believe and try. There are two figures sitting at the middle of bed. The older from them is hugging the smaller teen in his arm, from how people look it, defiantly they will thing that the two is a lover. How the older embracing the other lovingly looks didn’t want to let him go.” Taemin” called the older teen, to his lover in his arm. The called teen titled his head, showing his pretty blue eyes, to his lover. “Nee, Yunho hyung?” answered him. Yunho just say nothing he even hug his little love tightly. They already were being like this for an hour. 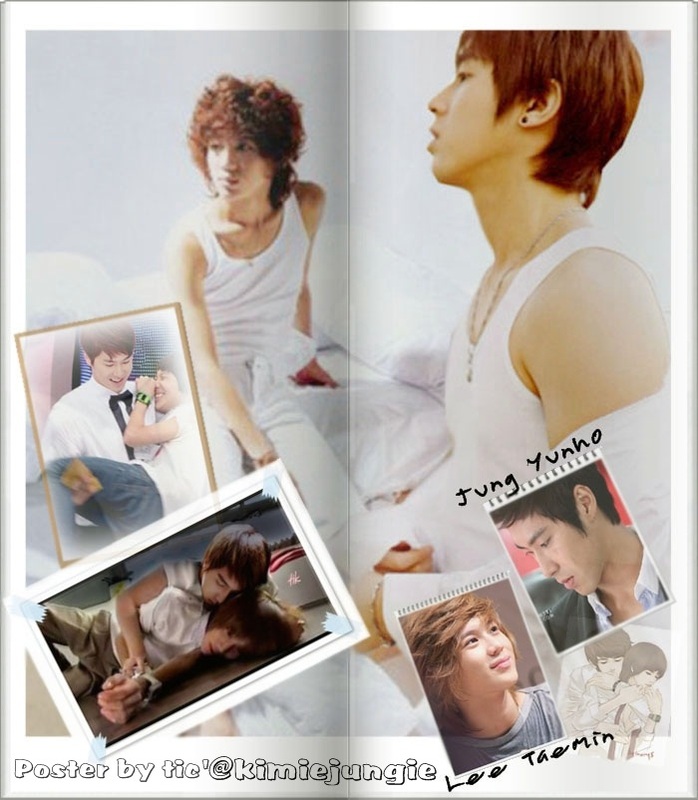 How Yunho like this simple affection from his lover. 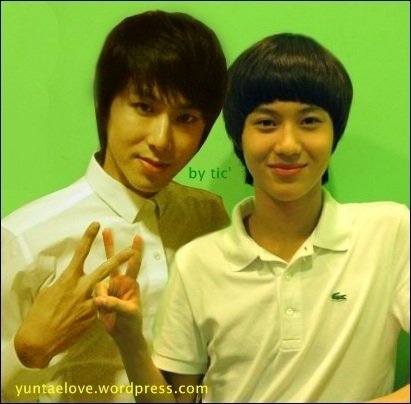 “Yunho hyung.” Taemin called his lover name. 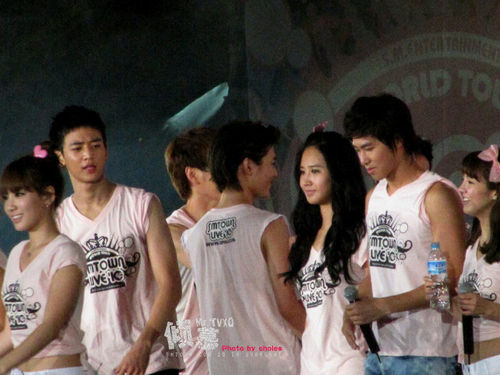 “Don’t you feel jealous..” Yunho was embarrassed with his own question but, he didn’t want Taemin to get angry later. A small laugh comes from Taemin small mouth. “Of course I feel jealous but, I know you only love me. 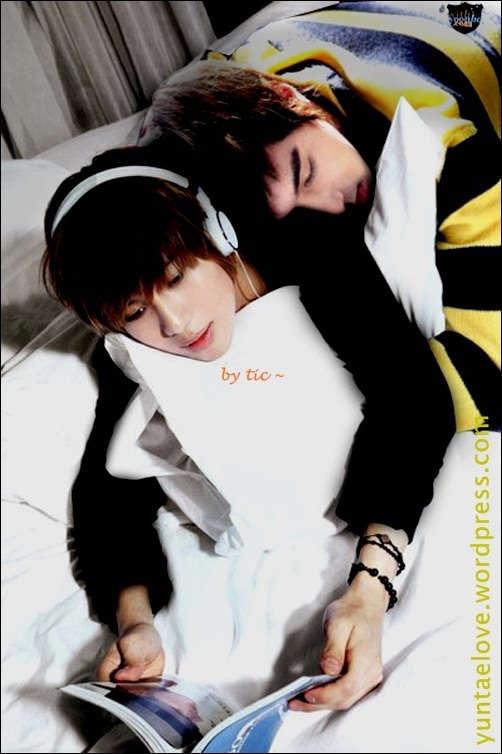 And it isn’t like I can’t do it.” Taemin planted a small kiss on Yunho cheek. Yunho eyes opened wide can’t believe what happen. A smile comes across his face. “You’re just unbelievable.” He said kissing Taemin cheek, repaid the kiss on his cheek. 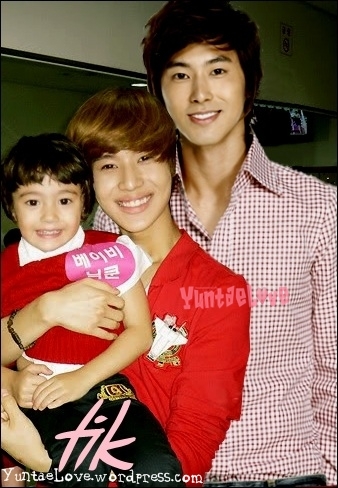 They continuing the hug, Taemin like being hug by Yunho big hand, embracing him with his warmth. “Hmm what, just wondering… what would you do if you’re being the brother at your mv and I’m your dead sister?” after watching his lover group mv, it’s really touching his heart. “will you save me? even If you have to sacrifice your friends?” asked Taemin. 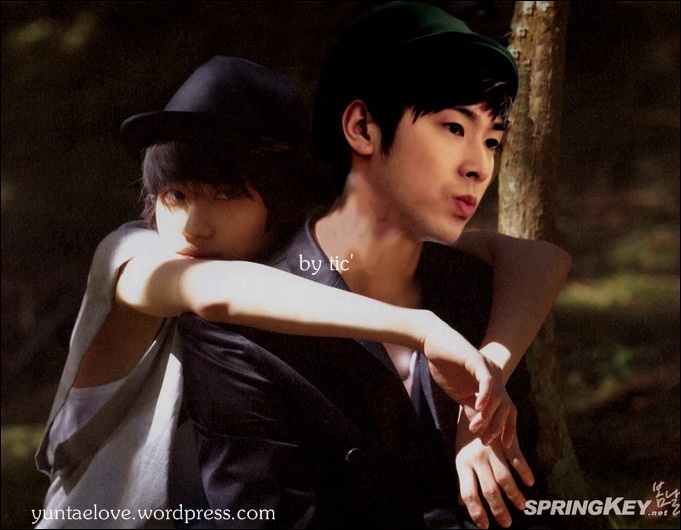 Yunho know it’s just the emotion that played his lover but, deep down it can affect their relationship. “I won’t lie Taemin, I won’t sacrifice my friends.” Yunho look into Taemin eyes, there aren’t the feel of hurt or betrayed. “I’ll find away to save you without betraying anyone, without sacrificing anyone.” He get a warm hug from his boyfriend when he finished his words. Something far from his imaged. “I love you.” Was just Taemin said. 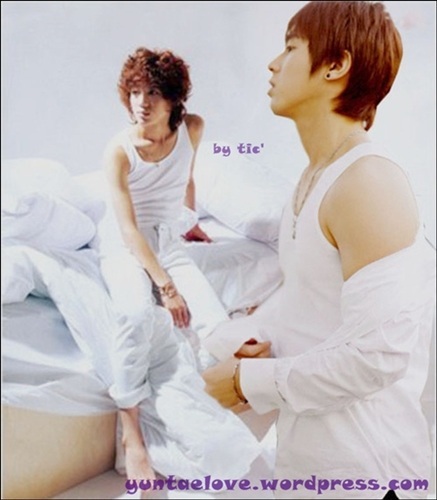 Yunho smiled, pushing his lover slowly to the soft mattress. Kissing him sweetly, “I love you Lee Taemin. 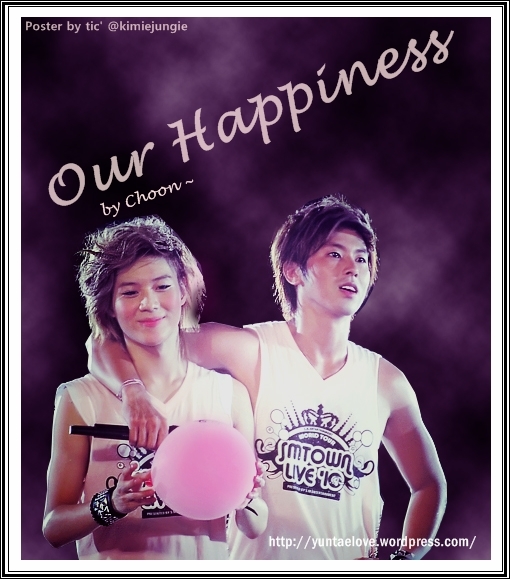 You always amazed me do you know that.” he said, while Taemin just giggled with his boyfriend corny words. The dim lights support the intense atmosphere between them. Slowly Taemin hand move to Yunho head, push it into a sweet kiss.